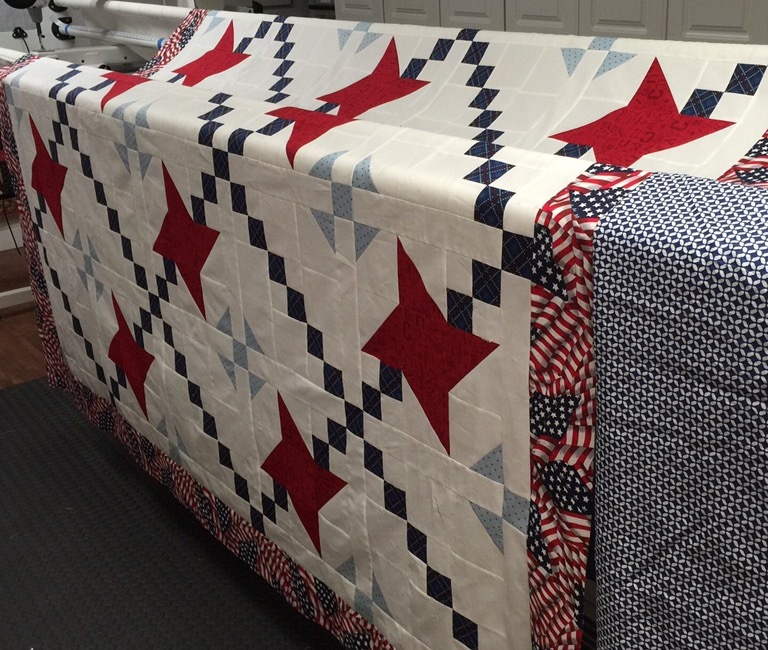 The last clue for the Mystery Quilts for Military came out last Friday. I cannot tell you how much I have enjoyed doing this! If you are interested in joining in for the next one, click here to join the group and get details. Here is my finished top and the backing I chose. And here it is on the frame with quilting in progress! This is the panto that I am using. I will be able to share this finish with you on Friday! I just love Alycia’s designs! I think I’ve done 3 myself – 1 twice. This turned out great! Love it! Beautiful quilt and quilting. what a beautiful quilt!!! It’s going to make a gorgeous finish. 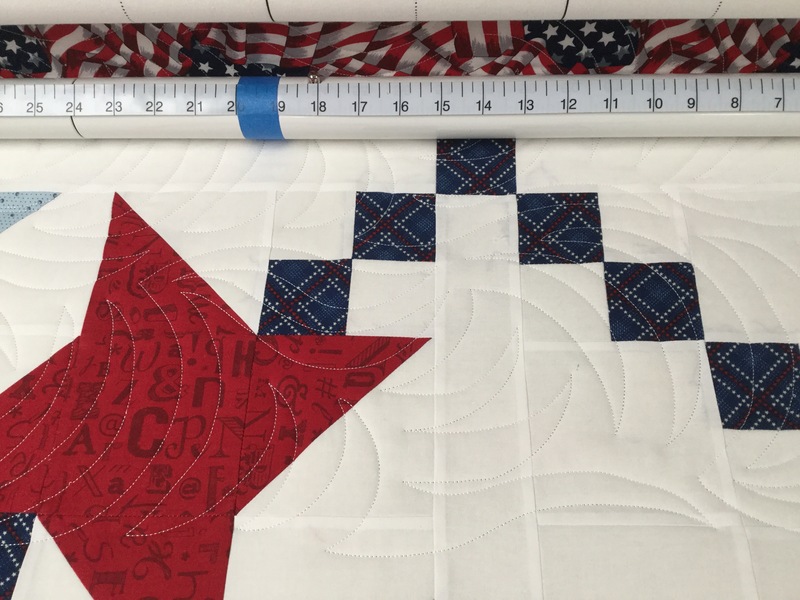 Beautiful quilt and as always…love the quilting! Katy, this quilt is awesome!! 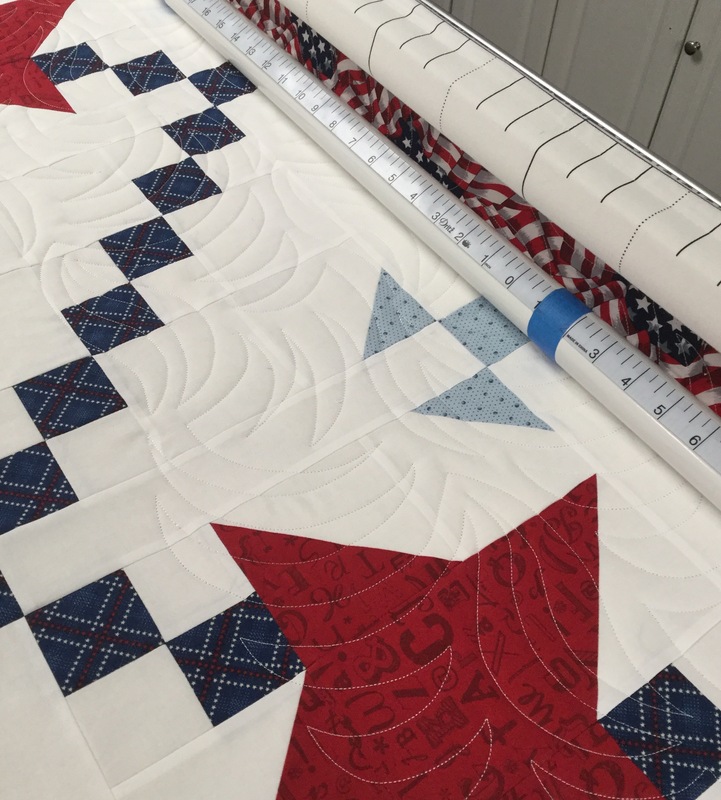 Love your fabric choices, and the quilting is just perfect….thanks for sharing! It’s beautiful! I may have to try the Mystery Quilt next time. Love the way your quilt came out; it has a nice clean look. I stayed with dark blue for the outer border on mine…maybe you’ll see it one of these days. Alycia did a great job with this mystery. It is so beautiful! I love the white on the front with the backing!! I think your QOV are wonderful. 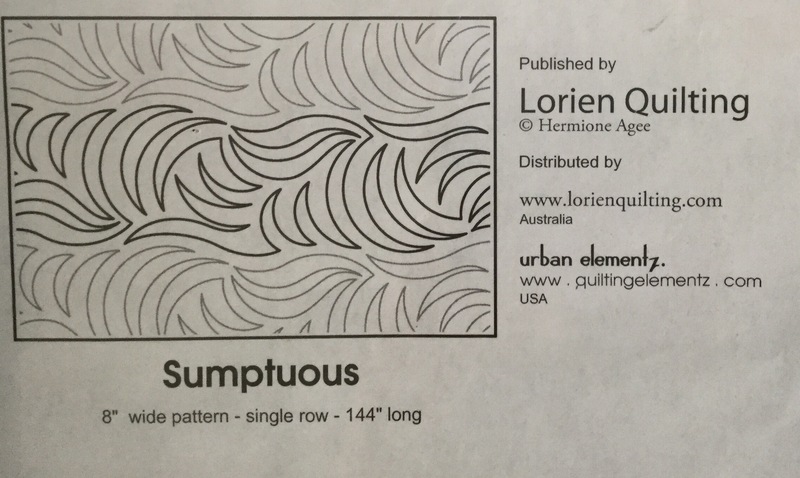 Your quilting is quite lovely. I have a long arm also but have never quilted with it. Maybe someday. I am jealous of your work. Any person will be thrilled with this quilt.